There is still good amount of time left for Ed Sheeran to play in Dubai but fans have already started celebrating it. Singing with a star singer at the Live Concert often becomes dream for young musicians. Similar thing happened to Eden and Josh as they have already started campaigning to be on stage with Ed. The UAE based singers will try to sing alongside their idol. 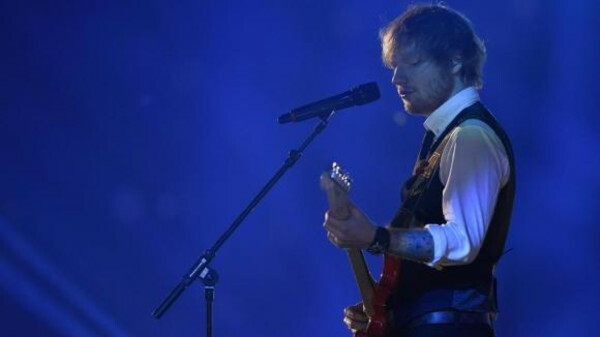 Two musicians based in the United Arab Emirates have each begun an online campaign in the hope of securing a spot on stage with their idol, UK artist Ed Sheeran, whose Dubai concert is scheduled for March 5. Esther Eden and Josh Monteath are using hashtags #EDENsingswithEd and #GetJoshToSheeran respectively to encourage family and friends to promote their efforts. Eden is campaigning to sing alongside Sheeran, while Monteath wants to be the opening act. The campaigns have caused a buzz around town, with the musicians getting publicity in magazines, newspapers and on radio.Tickets to the concert sold out rapidly after going on sale, leaving some fans ticketless and spurring Eden and Monteath to start their campaigns. Eden, 17, is in her senior year at Cambridge International high school. She was invited to perform at RedFest by international music sensation Jessie-J, and has had gigs in the UAE and Goa. Eden even had the honor of giving a TEDx talk on how music can help students. A student at the SAE Institute, Monteath is building his career with the support of Freshly Ground Sounds, a non-commercial independent music initiative in the UAE. Monteath has showcased his music at gigs at The Fridge, Dubai Eye, and the F1 in Abu Dhabi. When asked what he hopes to accomplish in the next few years, Monteath said: “Big things. Music is my baby, and it’s that dream that needs to be fulfilled. There has been no reply from Ed Sheeran regarding the issue. There is still no surety whether he will really accommodate anyone at the stage with him. However, the two young musicians are excited about their chances.